Date: Apr 14 2018, 7 a.m. - 2 p.m. The North Post Pool will be stocked with trout for their annual TroutFest. Participants will fish for 10 - 12 inch trout. Catch one of 10 golden fish to win a prize. There will be 15 minute breaks every hour for children fishing only. 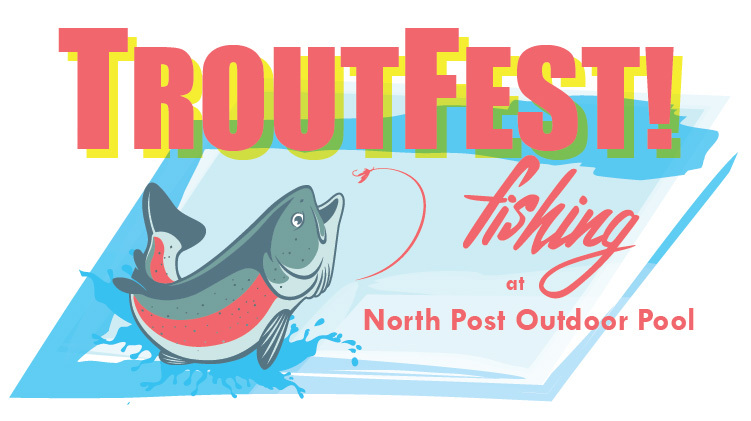 In case of inclement weather, TroutFest will be held on Sunday, Apr 15, from 7 a.m. - 2 p.m. Unlimited Fishing at a cost of $7 to enter and $3 to rent a pole. There is no charge for spectators. This event is open to all eligible ID card holders and thier families.